I know you are thinking wow, this is a different post for Jess! 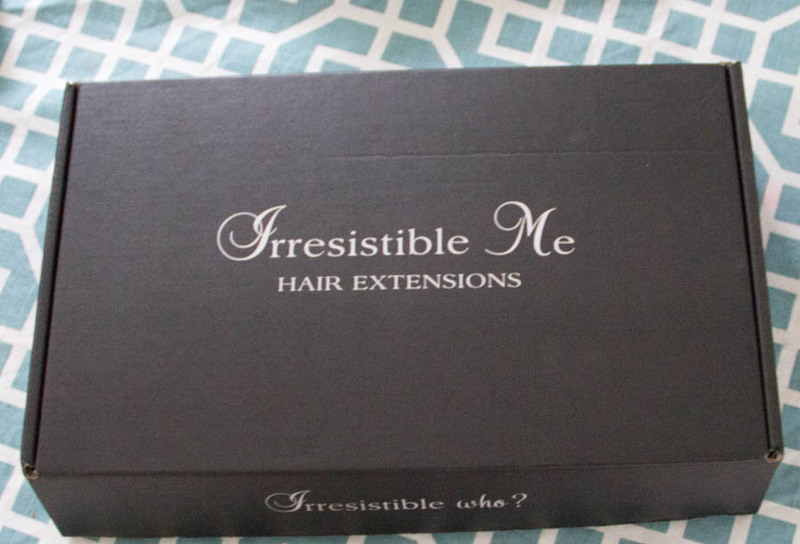 Today I am reviewing hair extensions sent to me by the company, Irresistible Me. It has been a long time coming, as they contacted me on May 21st to ask if I would like to collaborate. The extensions were received on July 25th. More on this later. On just a side note, the outfit I am wearing is not a floral 🙂 I thought I would go with an earthy palette today. I love my florals and throughout the summer I enjoy mixing it up ( styles), just as I have done today with these hair extensions. You all know I am fond of my hair, and take good care of it, try to deep condition every couple of weeks, and work to maintain my red hair, without the greys. I am reviewing extensions and how one can wear them without a ton of work, especially if you have wanted to try longer hair I will say that being this time of the year, I will wear them going out, in air conditioning, or just a cooler day. I would most likely wear them more in the fall/winter, because let’s face it, if you are in 90+ degree heat, usually the hair is put up, in a ponytail, bun etc, or one is just in air conditioning. Before color_ a Golden Blonde ( 220g). 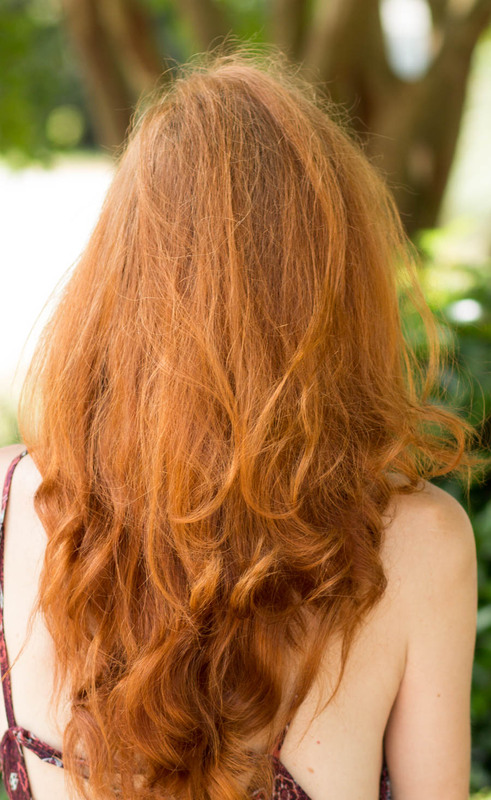 The gold in the hair would be there for my stylist to color it to match my natural color of a golden ginger red. 10 pieces. When I received it, 2.5 weeks later, the red was very vibrant, more red with little gold or orange tones to it. I knew my stylist would have to color it, and it would be very difficult to do so, so I decided to exchange the product. I ordered a Golden Blonde, with my stylist’s guidance, as she said it would be easier to add in copper and orange tones to the existing gold to match my hair color. ** How long until she ordered the gold set. 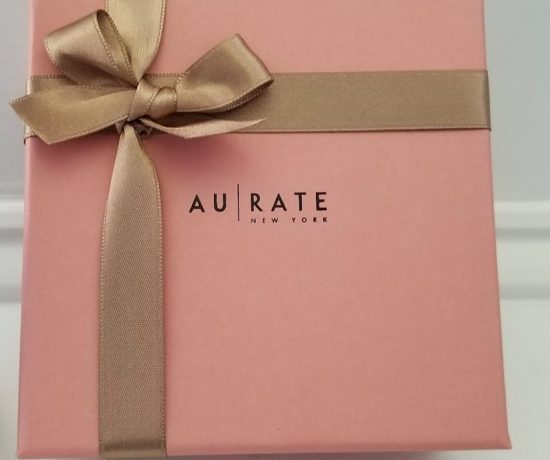 Upon opening the box, there are 2 compartments, one of a weft of hair with 3 clips as a test color that one can open that side of the package and still be able to return. 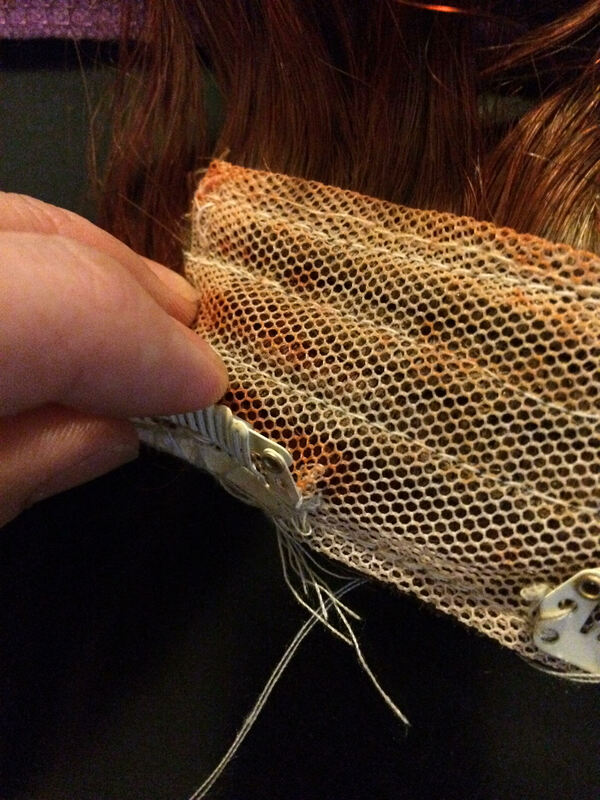 This weft of hair’s clips were sewn perfectly in place having one believe that the quality was quite good and the clips were secure. However, when my stylist took the full set out of the package, she discovered many of the clips were falling off, loose, and had thread coming undone. She had the extensions on a mannequin’s head, and they were pulling, as the clips were not usable and secure. She had to take them home and resew the clips on to the extensions. 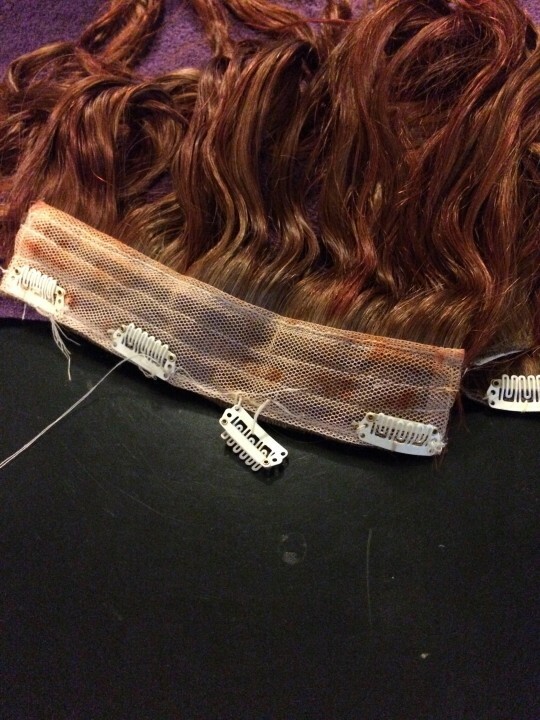 If one were to just open the side of the package with the one weft, seeing the perfectly sewn clips, one would believe the set was made well, and not exchange only to find the set’s clips to be different I find this was misleading, especially since one could not return the extensions once the main package was open. There was also a red thread that hung from the hair extensions, that was not supposed to be there. The threading has come loose, demonstrating poor quality of the clips. My stylist had to sew these clips back in. My amazing stylist who put all the work into coloring the extensions and showing me how to put them in. Mindy the Magnificent! The original choice of red that I had chosen was returned within days, to the post office. The return was going to Fashion central, in New York City from North Carolina. After a week, I found out that the company had not received the package after 7-10 days,and even later, it never showed or was lost in the mail. This slowed down shipping the new color to me as well. The Marketing Rep, for Irresistable Me, decided to ship me the exchange, however, overall it took 2 months for me to get the correct extensions mailed to me. However, the quality of the hair itself was beautiful. Long, thick, Remy deluxe hair. It took the color very well.and looked great with the matching ginger tones I was looking for. My stylist used several colors to match my ginger red hair. 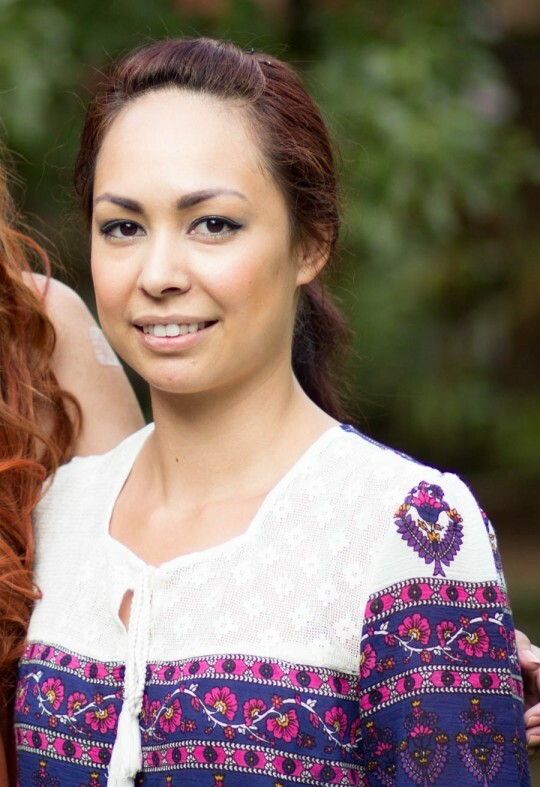 I found that the irresistible Me website could have, as I have noticed with many extensions sites, a need for additional red hair color choices. 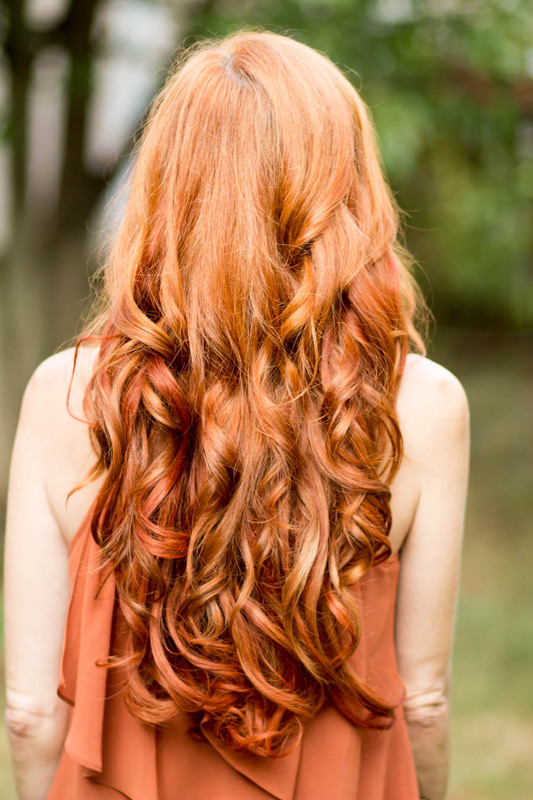 If one has a unique or not as common hair color, it is likely that a stylist will have to color the extensions. This is done often, however, with hair extensions. The process is not difficult once one get’s the hang of one’s head shape and “drawing the line” as where to add the clips. For me, the largest weft, in the back, gave a full, lovely look, and I also liked the additional hair pieces on the side as I like to part my hair to the right. I love a Veronica Lake, curled look down one side,kind of vintage look. now the left had some more volume. The nice thing about extensions is that they can be a fun way to change up one’s look. If you are looking for straight longer hair, then one can clip and go, it is not terribly hard to maintain. . The entire set came in 10 pieces ( 200g) , but depending on the time of year, certainly the summer, I would just add about 5 pieces for more fullness. If you cut your hair short and arent fond of it, this is a way to add length as it grows it. Also, this hair takes a curl really well. My own hair is poker straight, but I am used to curling it, the Remy hair really holds a curl! The hair is shiny and I was looking to add a bit more fullness to my fine hair. If Irrieistible Me, could work on their Quality Control with the hair clips and an improved buying/delivery experience, they could have an excellent product! So with all of the pros and cons with these extensions, I still say Yes! to long hair after 40. It’s all about what you like! After my stylist colored my hair, and curled it. The entire set was used in this picture. This review represented my opinion. My outfit: F21 blouse, Loft pants, Express Clutch, Charming Charlie Leaf jewelry, Payless sandals. I personally love long hair , and remember the last time it was short. Kindergarten. I let mine air dry and then blow it dry for just a bit. For this look, a curling iron was used, but I often use hot rollers. The weight at 200 g was something I would get used to, but I could also use the larger piece in the back for added volume, and 2 pieces on each side for about 5 pieces total, as I already have long hair. 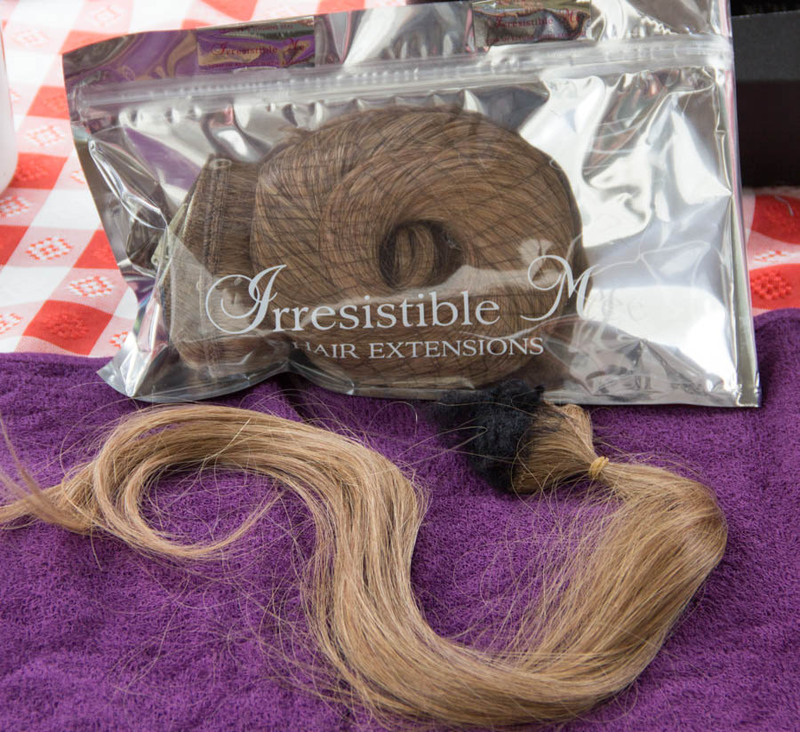 I understand that they may not be for everyone, but to try something fun and new, extensions can be a way to go! Have a Great Weekend! And no matter whether you wear your hair long or short, be your FABULOUS self! It looks beautiful!! Not sure if I could wear then as I think my hair feels heavy already. I have to say that the hair suits you so well, you look marvellous! I’ve been thinking about extensions, and like you my hair is already kind of long. Still thinking about it, but thankful for your review. Great and honest review Jess! looks like a lot of work , but it sure came out gorgeous!! Wow! I didn’t think you hair could be improved upon! Interesting! I have never tired extensions! They intimidate me haha! Loving your outfit today…so cool! I have to admit to preferring the look of your own hair without the extensions. I think you look more natural and beautiful without. I, ignorantly, had not thought of your EDS affecting your ability to wear extensions. But extra tugging on the scalp must be painful….luckily your own hair is so beautiful you don’t need them (in my opinion). Loving your tassel shoes BTW! Flats can be fabulous too. Oh wow, your hair looks SO THICK with the extensions! Believe me! Thick and heavy! I had to take em out after a bit, and they are too hot now, but in the winter .. fun! I just got some similar clip in hair extensions from my girlfriend who happens to be my hair stylist. They are so fun but way too hot to wear. What a bummer about the poor quality on the clips but it’s an easy fix. Have fun playing with your new hair! I think you have great hair without the extensions…but afterwards you look like a Disney Princess. It’s funny because we are both doing reviews for them. (I did mine yesterday) I also got mine dyed and cut to suit me and helped with a stylist. I didn’t have any quality issues like you had and in fact they came so quickly…they were there within 2 days of placing the order. Too bad you didn’t have the same service. Due to my Fibromyalgia I did find them to be uncomfortable after a while. I like them, and will use them for special occasions, but I can’t see using them all the time. Thanks Suzanne, will check out your review too. I agree with my Ehlers-danlos, all that hair was quite heavy! I also will try it in the winter months, too hot for summer. You had luck with the company and PR, it was not the experience i had. Thanks for the compiment. I like how your colorist did you hair too, I have fine hair as well , normally, just a fiar amount of it. Looks lovely, but my attention is on that outfit. 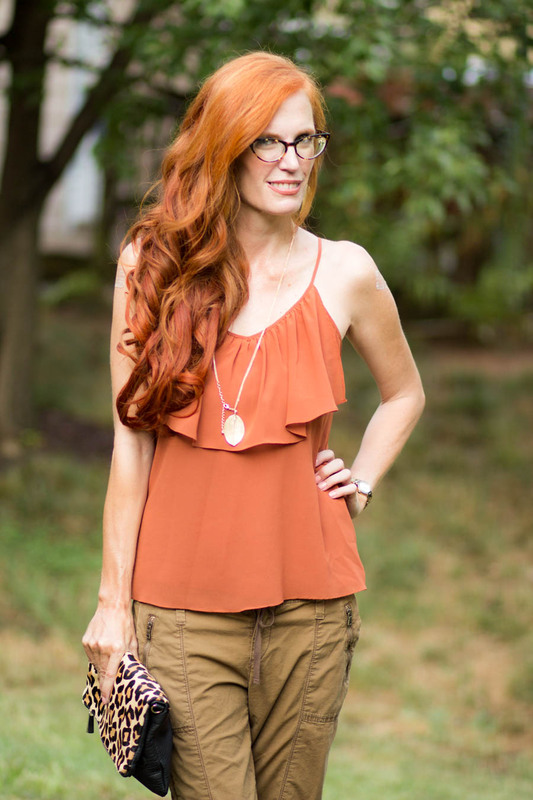 Love the neutrals and those pants are awesome! Wow it looks gorgeous, Jess! Of course you have an amazing head of hair to work with!